Shirataki Shuzo is a Sake producer in Echigo Yuzawa in Nigata Perfecture. With Sake, the water is a key ingredient. The Shirataki Shuzo brewery is located n a area that receives a lot of snow. This snow in the spring time turns into a mineral laden source of water for the Sake production. From the mountain tops, the water flows through a seam of coal which acts a as a filter.and positively affects the taste and quality of the water. They are different from each other and all very good The Namazaka is unpasteurized and is lively and fruit filled. The Uonuma has rice that is only polished to 80%. This seems to give the Sake a richness to it. The Noori is unfiltered and is rich but with a dry finish. We brought along some Siberian Sturgeon caviar sustainably farmed in Italy.for a tasting. 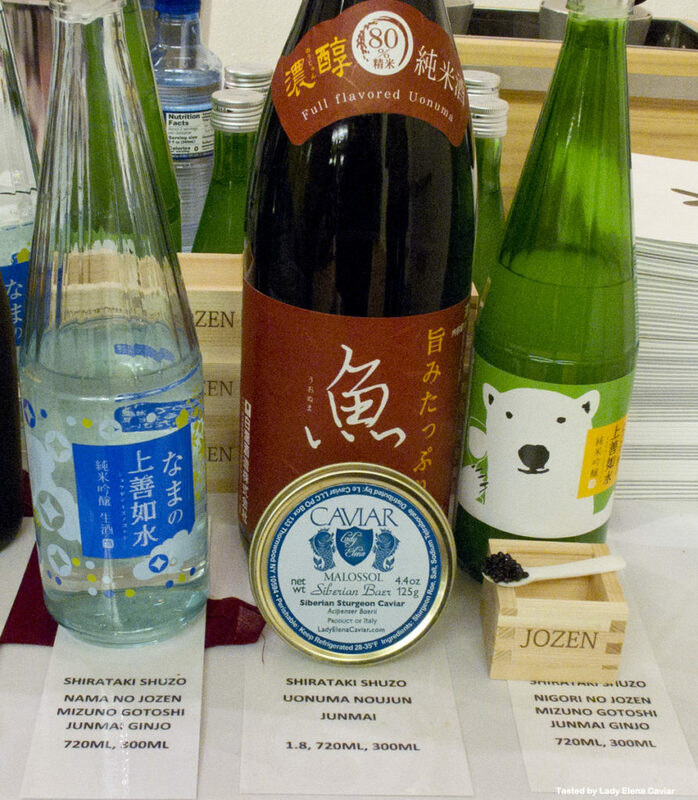 Shirataki Shuzo Sakes makes very nice Caviar and Sake pairings.